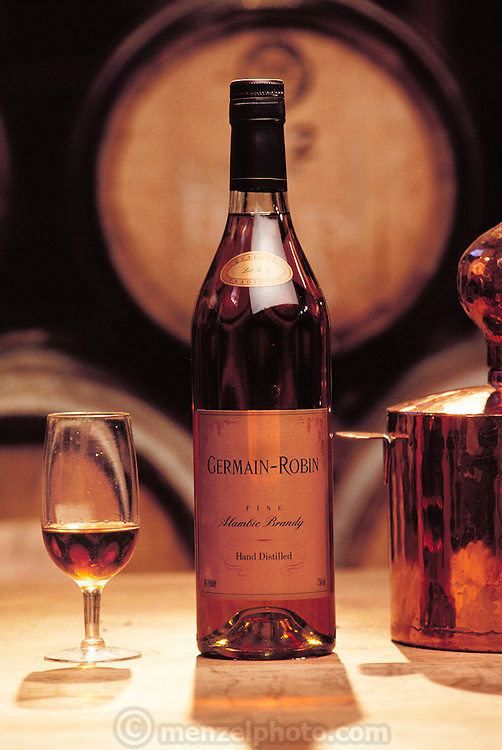 .USA_WINE_04_xs.Germain-Robin hand-distilled Alambic Brandy. Photographed at the distillery on a sheep ranch in Ukiah, California. Ukiah, California. USA.